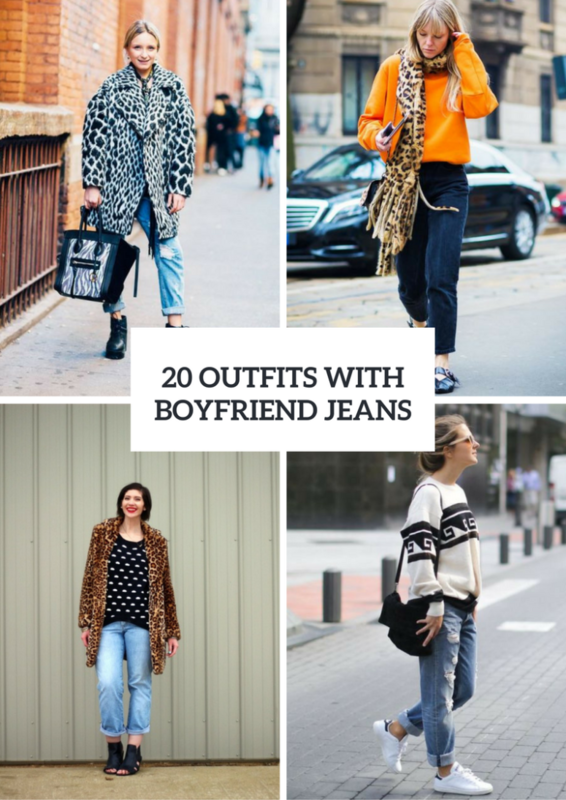 I think that boyfriend jeans are perfect for any season, and, of course, if you’re looking for fall and winter outfit ideas, you should pay your attention to them. 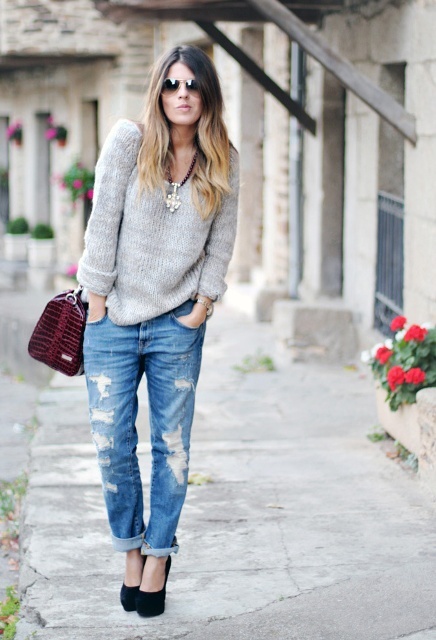 As you already know, boyfriend jeans are high or low waisted and loose-fitting ones that look like men’s jeans. You can choose any color you want, but the most common ones are light blue, blue, black and gray. Depending on a style of your outfit you can pick up classic straight, cuffed or distressed boyfriend jeans and pair them with casual, sporty or feminine pieces of clothes. Now let’s look at pics of fashionistas and celebrities who ideally create fall and winter outfits with this type of jeans. I’m sure you’ll get inspired. 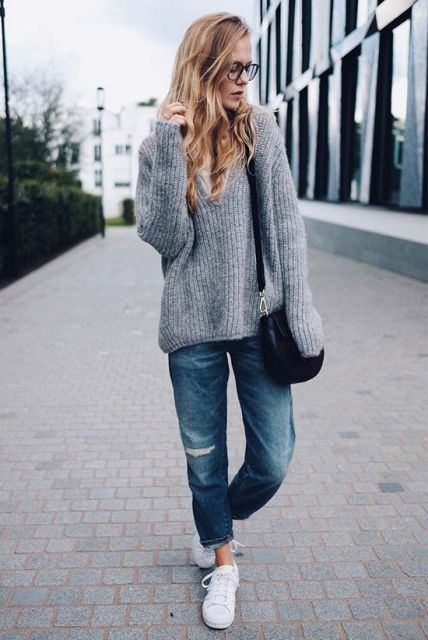 You can create absolutely cool casual outfit just mixing a gray loose sweater, distressed boyfriend jeans, white sneakers and a black velvet crossbody bag. Or you can change sneakers to black high heels or heeled ankle boots and add a marsala leather bag to make outfit more elegant. 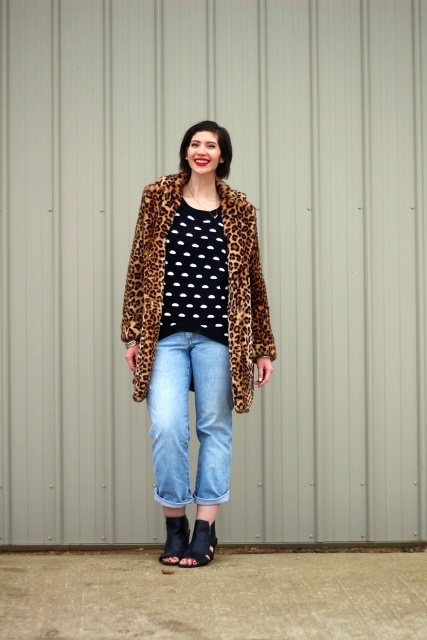 If you love bright colors and bold prints, then try to repeat the outfit (shown below) with an orange oversized sweatshirt, a leopard printed oversized scarf, a mini bag, navy blue jeans and cutout flat boots. 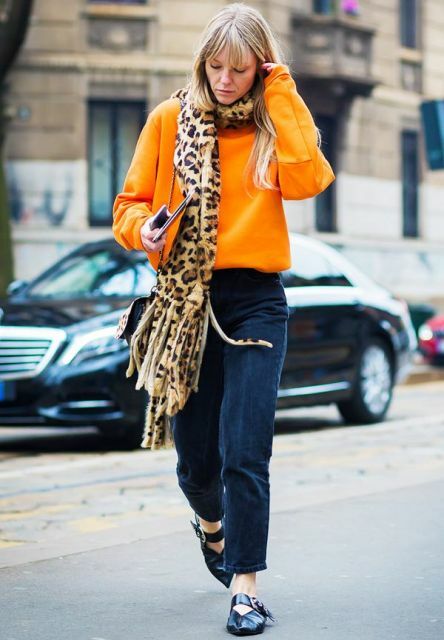 One more interesting outfit idea is a combination of a navy blue turtleneck, light blue distressed jeans, black pumps, a black wide brim hat and a black leather tote. 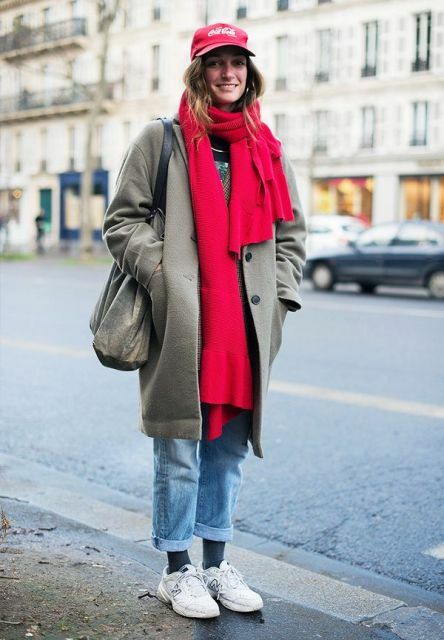 For winter outfits you should add a coat or jacket to other pieces of clothes. 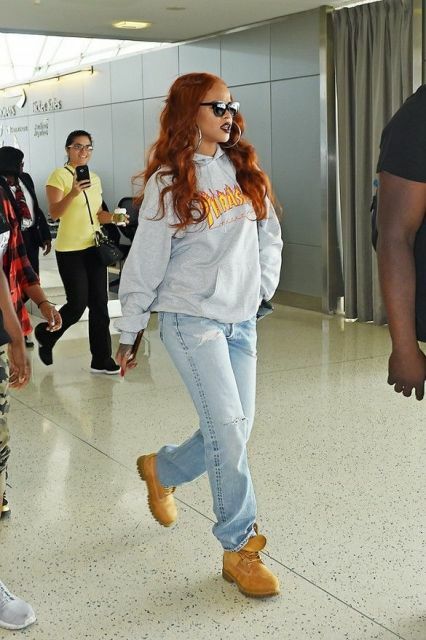 For example, you can pair a marsala sweatshirt with cuffed boyfriend jeans, marsala suede ankle boots, a black fringe chain strap bag and a trendy white shearling jacket. Or you can combine a white button down shirt with jeans, a camel or beige wool midi coat, a black leather bag and black loafers.